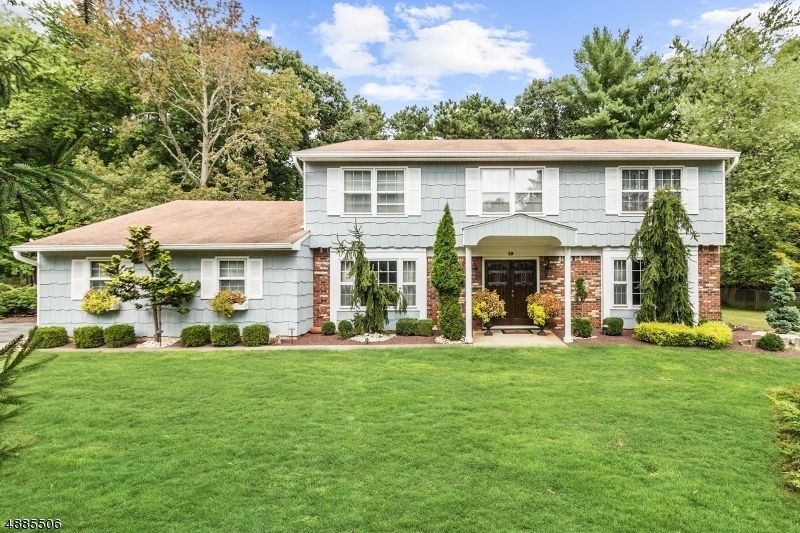 Mrs Clean hates to leave this Grand Center Hall Colonial!Put this home on your lists of must see's! The home boast Travertine Tile flooring in the oversize foyer, through out the Kitchen. The Kitchen has been upgraded with a center Island w/granite tops, coordination back splash. and recessed lighting. All Three full bathrooms have been renovated. The fifth bedroom with a full bathroom are on the ground floor. The family room, has a full brick wall with wood burning fireplace, and sliders out to your private yard. The entire home offers generous size rooms, and is painted in neutral colors. There are crown moldings in the dining and living rooms, Central vac, and oversize 2 car garage with plenty of storage.